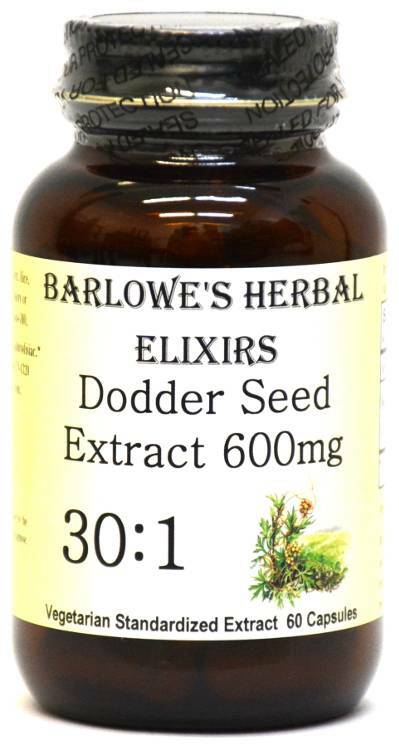 Barlowe's Herbal Elixirs offers a 30:1 Dodder Seed Extract (Cuscuta Chinensis Lam.). Traditionally in China, Dodder Seed (Tu Si Zi) has been used to support libido and to replenish Kidney Yang energy. Bottled in Glass! No Stearates! No Fillers! No Junk! Barlowe's Herbal Elixirs offers a 30:1 Dodder Seed Extract (Cuscuta Chinensis Lam.). Traditionally in China, Dodder Seed (Tu Si Zi) has been used primarily to support libido, and to replenish Kidney Yang energy. 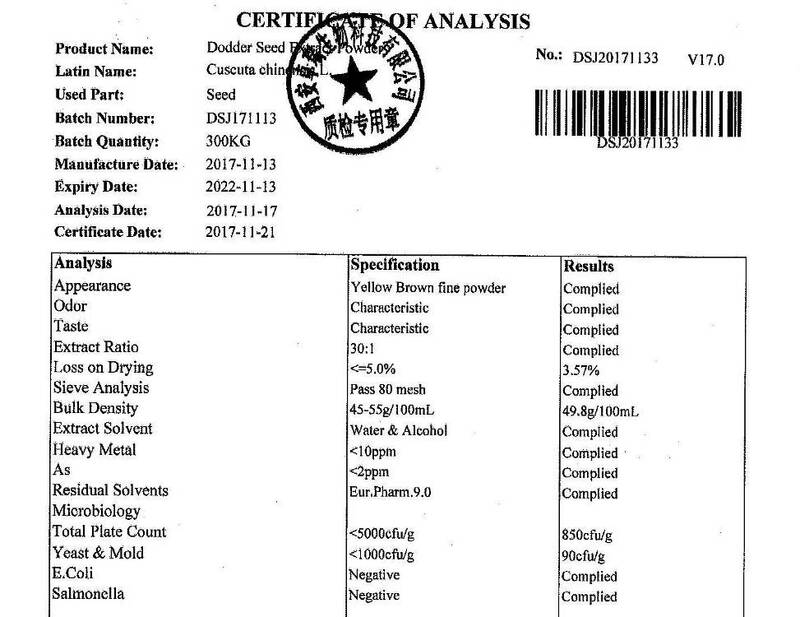 The Dodder Seed Certificate of Analysis (COA) of this particular batch is shown above. Bottled in Glass! No Stearates! No Fillers! No Junk! Dodder Seed Extract is generally considered a Kidney Yang Tonic and is widely used in Asia to help libido. It is often traditionally paired with other tonic herbs. Dodder Seed is a main ingredient in a famous Ming Dynasty anti-aging formula called "Seven Treasures". 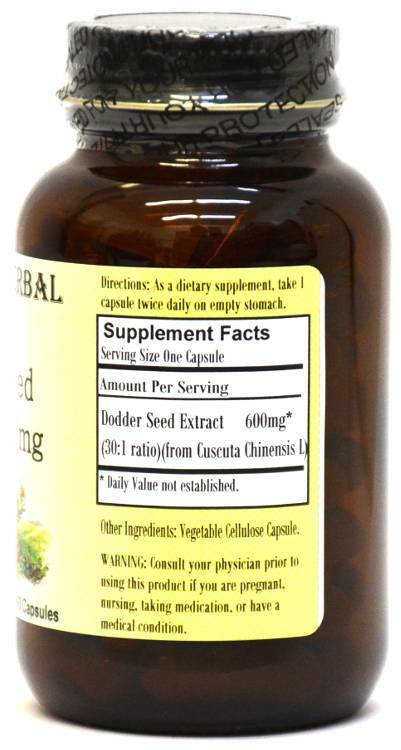 Caution: Dodder Seed Extract is generally safe, but it is potent and should be utilized with care. This product is for dietary use. If unexpected side-effects occur, discontinue use immediately! The above statements have not been evaluated by the Food and Drug Administration (FDA). This product is not intended to diagnose, treat, cure, or prevent any disease. Directions For Use: As a dietary supplement, take one capsule twice daily on an empty stomach. If any side effects occur, stop use immediately. Adult use only.